If you have delayed your participation in the Adopt-a-School program until it is absolutely time to act, NOW is that time. With Constitution Week just over two weeks away, here’s your chance to have a lasting impact in your school and community. After embracing this program less than a week ago, Marie Roberson from North Valley Tea Party Patriots in Turlock, CA is making it happen. She contacted the Superintendent of Schools in her area. She purchased a $20 Adopt-a-School Packet and donated it to the district during a meeting with the Superintendent. As a result of her good follow-up and the interest of the school, the materials have permeated the district and almost 20,000 K-12 students will learn about the Constitution. If you have a passion for the Constitution, don’t pass up this chance to act locally. It’s easy, it’s fun and you can help the Tea Party Patriots roll out this national program to bring the Constitution alive in every public classroom in America. Order one Adopt-a-School packet per school that you wish to teach the Constitution. Google the Superintendent of your local school district. Get contact info, name, address, phone and email. Send the response of your school district along with the contact information to the local media (via a press release) highlighting their compliance with this federal law. This will provide positive community support to those schools who are teaching the Constitution. AVAILABLE NOW! Tea Party Patriots Constitution Coloring Activity Book, Just for Patriots! The fun, highly educational Constitution coloring book is here! This coloring activity book introduces children to the Constitutional Convention of 1787 and to some of the brilliant, honorable men who participated in those debates in Philadelphia. The 40 page Constitution Coloring Activity Book will help children and adults gain a better understanding of the Constitution and the events that shaped our nation. Our nation faces troubling times because of a lack of Constitutional education. Never be a part of that apathy again. Help us teach our children about the principles of liberty and the Constitution. Get this activity book and help us begin to re-educate a nation. Ages pre-k to 4th grade. Purchase Here. 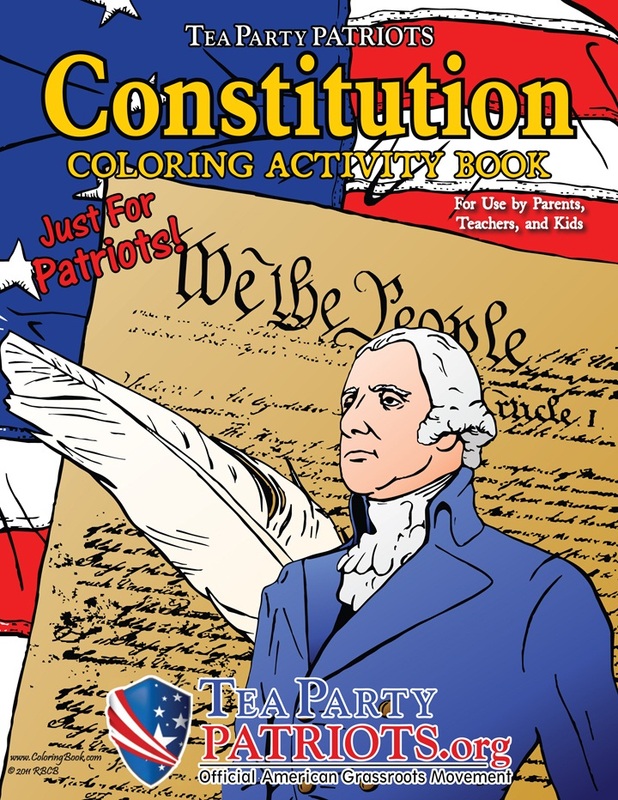 *The Constitution Coloring Activity Book is available without the Tea Party Patriots branding for use in schools that require books without branding or logos of any kind. Adopt a School in your area TODAY! NEW! Tea Party Patriots Coloring Activity Book AVAILABLE NOW! Order Here! 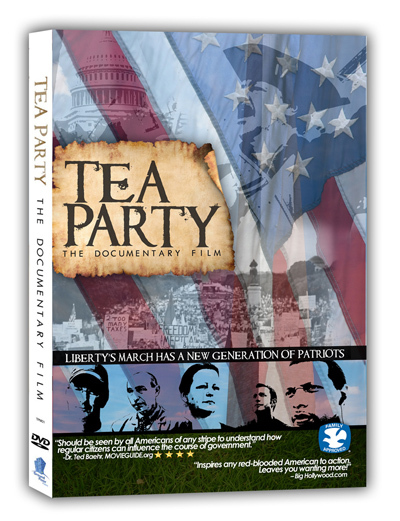 If you haven't seen the Tea Party Movie, Order Your Copy Today! If your friends need a lesson on the Tea Party Movement, Order Them A Copy Today!